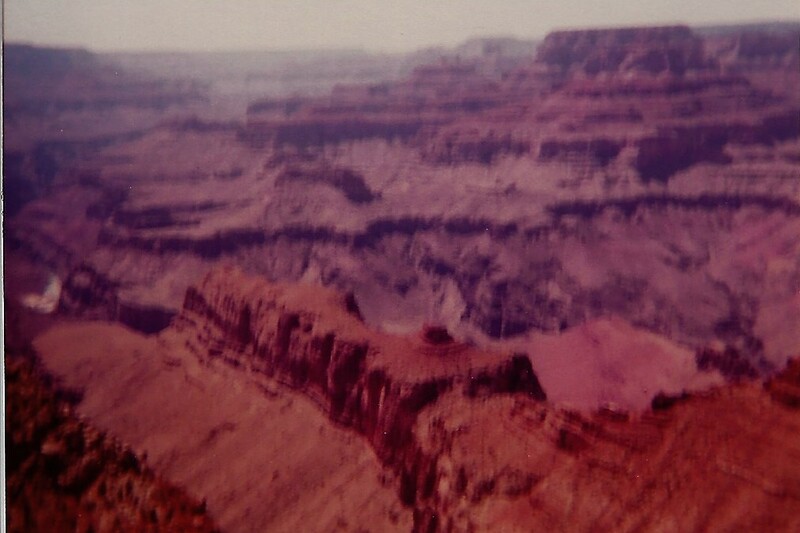 The first time I saw the Grand Canyon with my own eyes was back in 1982 when my sister and her husband drove my brother and I cross-country. This natural formation was magnificent. We hiked part-way down the canyon, and later took a helicopter flight over it, enjoying the awesome beauty. This is the setting for a battle taking place in science. Creationists have claimed the Grand Canyon as evidence of a world-wide flood and a young earth, while evolutionists claim it’s evidence of millions of years of erosion, carved out by the Colorado River. The recent film, Is Genesis History?, is a documentary presenting scientific evidence to support a young earth. But it turns out that old earth creationists have their own interpretation of the evidence and are staking out ground of their own. Kyle Dillon, a theology teacher at a Christian high school, watched the film, then wrote a review called, The Grand Canyon: Monument to an Ancient Earth. Although I disagree with his conclusions, he made some valid points, noting that the documentary presented a false dichotomy: either you accept Young Earth Creation (YEC) and flood geology, or you accept the Darwinian account. That is partially true. Since the purpose of the film was to provide evidence for a young earth, it didn’t get side-tracked into discussing alternative interpretations of the Biblical book of Genesis. Instead, it focused on the two major competing paradigms: either the earth is very young, or very old. Nonetheless, Dillon wants others to know that some Christians accept Genesis as true history, while also accepting the idea that the earth is 4.5 billion years old. To that end, the book he reviewed was written by 13 experts in various fields who are Christians, and they attempt to counter the claims of YEC’s. Dillon did a fair job presenting YEC beliefs, mentioning that, historically, the Genesis account of creation was predominantly understood to represent a 24-hour period and six ordinary days. More to his point, Dillon explains that, even before Darwin wrote On the Origin of Species, in 1859, some Christian geologists had already concluded that the earth was ancient based on modern geology. Therefore, old-earth creationism wasn’t originally an accommodation of Darwin’s theory of evolution. He also notes that the majority of Christian thinkers weren’t troubled by the acceptance of an ancient earth. I’d suggest that those Christians who did accept an ancient earth were still being influenced by secular thinking that contradicted the Biblical flood geology. Erasmus Darwin, the grandfather of Charles Darwin, presented evolutionary views long before the Origin of Species. So, these people were influenced by secular thinking and were compromising Biblical history. The fact that some Christian thinkers were untroubled by this should be troubling. Dillon goes on to pose some difficulties he sees for YEC’s, asking, “Why are the fossils sorted at all?” But this isn’t a problem because we know hydrodynamic water can sort sedimentary particles- or anything else. Moving water sorts similar sized and shapes of particles based on factors like gravity, density buoyancy and viscosity according to the impact law. Therefore, objects in any particular environment will be sorted. He asks, “Why are there no dinosaur, bird, mammal, or flowering plant fossils in the Grand Canyon.” This is an interesting claim because some scientists have dated the Grand Canyon at 65 million years old, which was during the time of the dinosaurs, so this would present a bigger problem for evolutionists. Nonetheless, the Grand Canyon consisted of a different ecologic zone, so these animal and plant fossils were not present at the time, or were not preserved. The next question was, “Limestone is made from the shells of marine animals and takes a very long time to form. So how is it that we can find thick layers of limestone in the middle of the Grand Canyon?” Answer: limestone can form quickly under the right conditions, and at that time it would have been formed by the transport of sediments and currents of flowing water. He says, “Caves form when acidic rainwater dissolves holes into limestone; they don’t form in seawater. So if the Grand Canyon was formed in a flood of seawater, why does it have caves?” Answer: it’s reasonable that volcanic activity could have instilled some acidity to the waters that had been dammed up. “If the Grand Canyon was formed entirely underwater, why do we find fossilized raindrop impressions, mud cracks, animal tracks, and undisturbed burrows/nests—all of which point to formation on dry ground?” Creationists would say the tracks left in the Coconino Sandstone were made underwater as the animals were fleeing to escape rising floodwater, or being driven by the current. Further, the raindrops many claim are found in the Coconino Sandstone may not actually be raindrops, and it’s uncertain what may have caused the dimples. True raindrops in sand will typically leave a randomly distributed mottled surface, and that’s not what we see. The mud cracks actually don’t have the horizontal layering we’d expect had they been filled by wind with sand. Instead, the cracks may be the result of an earthquake, formed by sand injectites when the sand became liquefied and was forced into the cracks. Other catastrophic processes like cross bedding may even account for what has been interpreted as burrows found in the rocks. “If radiometric dating is so unreliable, then why is it that different dating methods almost always produce the same dates?” Actually, they don’t. Radiometric dating produces unreliable, conflicting results. We know this because we can test the dating on rocks of known age, such as Mount St. Helens, Mt. Etna and the Hualalai basalt in Hawaii. Creationists have used four common radiometric dating methods (potassium-argon, rubidium-strontium, uranium-lead, samarium-neodymium) to date rock samples in the Grand Canyon and have found that the ages don’t agree. “If rates of radioactive decay were much higher in the past, then why didn’t the tremendous heat produced by such radiation melt the surface of the earth?” One possible explanation is that the simultaneous expansion of the universe may have cooled the earth. Apparently, Dillon assumes YEC’s cannot answer these questions, so he concludes that defending YEC is difficult. But this is not the case at all. These questions have been answered by creationists. One important conclusion Dillon pointed out was that the authors of the book were weak with their theology and ability to grapple with the Bible. He doesn’t think they provide good reasons for thinking Genesis allows for an old earth. He recognizes the difficulty of reconciling old earth creation with animal death and pain before the fall. These are big reasons why I’m not an old-earth creationist. I have never heard a solid defense of an old earth that is compatible with the Biblical and its theology. I’ve listened to many arguments, but all of them have deep flaws, and none can reconcile the science with what the Bible clearly teaches. Any attempt to reconcile these factors comes across as compromise- forcing the Bible to fit with a secular worldview. The earth prior to Adam and Eve’s sin, for example, was a very different place that God described as “very good.” If God did create a world without sin and death, then it seems impossible for the earth and universe to be billions of years old. But if there was death as life evolved over billions of years, then how does one reconcile this with the rest of the Bible and its theology? 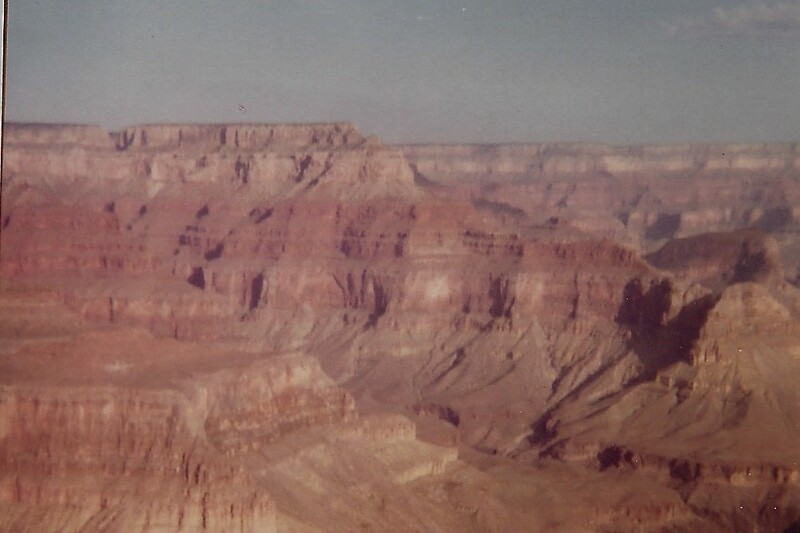 I happen to find the young earth creationist stance much easier to defend scientifically and theologically than any other, and I think the evidence found at the Grand Canyon supports this.